When itai??i? ?s Karan Johar, gossip is a given. The hundredth episode of the ace directorai??i? 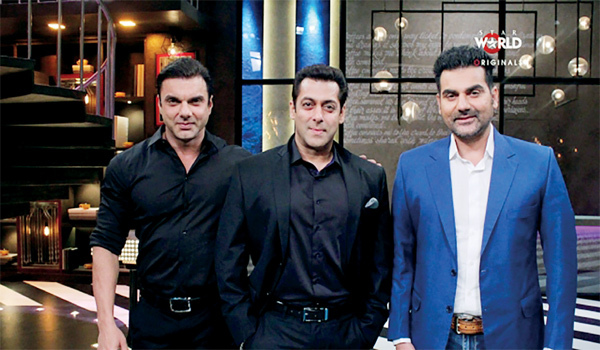 ?s talk show promises no less, featuring brothers Salman, Sohail and Arbaaz Khan. Catch up with Salman as he talks about his former girlfriends and shares why relationships are not for him. Donai??i? ?t miss the candid reminiscing and chit chat as the brothers discuss everything from their love lives and their family lives. In season three, Sergeant Terry orders Regina to remove her space heater in a bid to go green. While Rosa and Boyle head out to visit a foot massage parlour, Jake Peralta and Captain Holt are found assisting Captain CJ with a big case, in the latest episode of this Grammy-winning police sitcom. As the American crime and legal drama gears up for its big season finale, watch the changing tide in Jake and Juliaai??i? ?s association, as unresolved issues from previous decisions come back to plague the duo. Another cliffhanger that will see Louise and Julia in pursuit of a ruthless Mexican kingpin, for his interview.